Is the Future of Business Free? Every year about 1.3 million passengers fly from London to Barcelona. A ticket on Dublin-based low-cost airline Ryanair is just $20 (10 pounds). Other routes are similarly cheap, and Ryanair's CEO has said he hopes to one day offer all seats on his flights for free. But, how can a flight across the English Channel be cheaper than the cab ride to your hotel? A) Cut costs: Ryanair boards and disembarks passengers from the tarmac to trim gate fees. The airline also negotiates lower access fees from less-popular airports eager for traffic. B) Ramp up the ancillary fees: Ryanair charges for in-flight food and beverages; assesses extra fees for preboarding, checked baggage, and flying with an infant; collects a share of car rentals and hotel reservations booked through the Web site; charges marketers for in-flight advertising; and levies a credit-card handling fee for all ticket purchases. C) Offset losses with higher fares: On popular travel days, the same flight can cost more than $100. D) Innovate inflight pay-for-use higher value added services: flying casinos; immersive virtual reality environments featuring the latest 3D blockbuster films; jelly-pools you can swim in; play centres for kids; add infi-flightum! A fantastic recent innovation is the solar roof tile. Rather than put a standard tiled roof on a property and then fit solar panels on top of it, it is possible to purchase roof tiles with built in photovoltaic solar cells. These tiles can be used on new build properties, or incorporated into an existing roof during re-roofing. These tiles are designed to blend in with existing roof tiles whether they are interlocking concrete tiles, slates, or shingles. 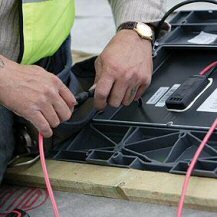 Each tile has a plug-in connector, and the tiles can therefore be simply wired together during installation. As long as you have a south / south-east / or south-west facing roof which is not shaded by trees and/or large buildings, solar roof tiles offer a simple way to 'go green'. 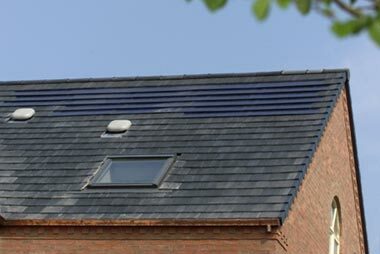 Solarcentury's C21 solar roof tile, isdesigned specifically for the UK housing market. It fits together with common interlocking roof tiles and so can be installed by any roofer. 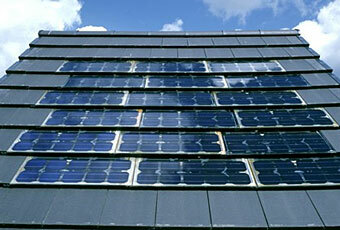 200 standard tiles replaced with 40 C21 solar tiles gives a 2kW solar system and costs between £8,000 and £12,000. This system would generate at least 1,600 kWh (units) of electricity per year silently and without emissions. The tiles should last a minimum of 20-30 years and will require minimal maintenance. Click here to view Solarcentry's website.